Blue Ear Books ringleader Ethan Casey recently asked if I had any thoughts to share on the current North Korea crisis, given my modicum of empirical expertise in things East Asian (see my BEB title Live at the Forbidden City). My initial reaction was “What do I know about North Korea?” I demurred at first, then later remembered that I do have a connection to the Hermit Kingdom – of an odd sort. 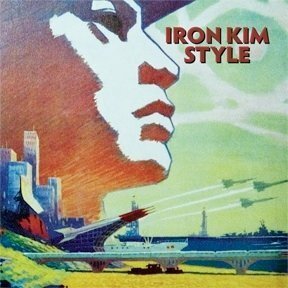 A few years back, I played guitar in an intermittent band project called Iron Kim Style. For no particular reason except that it sounded cool, we named the band after the acrobatic martial-arts approach espoused by the high-flying Grandmaster “Iron” Kim. However, we soon found that many people assumed that the “Kim” in our name – an extremely common surname in the Koreas – referred to the infamous dynasty of North Korean dictators. 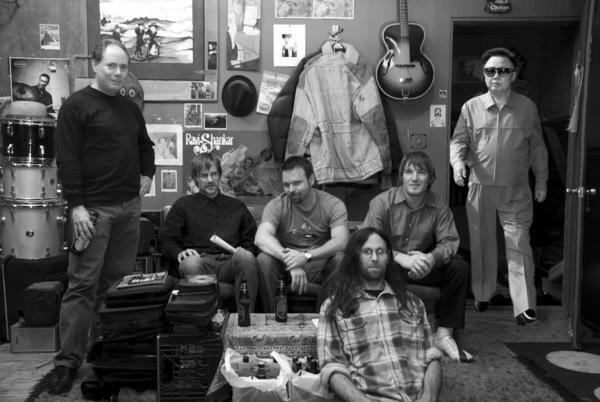 Rather than set people straight, we decided to run with the idea and exploit the coincidence in a playful way, giving tracks on our eponymous instrumental CD titles like “Mean Streets of Pyongyang” and “Dreams from Our Dear Leader.” We even went so far as to Photoshop Kim Jong Il’s image into our band photo. Iron Kim Style eventually disbanded as members moved on to other projects, but we pulled out all the stops for our swan-song concert, donning Kim Jong Il masks, declaiming a garbled Kim propaganda speech in mid-performance, and projecting images of mass North Korean stadium spectacles above the band, all in good fun. Fast-forward a few years, and suddenly Iron Kim is relevant again, and not in a good way, with the threat of nuclear conflagration now closer than it’s been in many years, and with dangerously unstable leaders on both sides of the conflict. Our CD cover, a repurposed Chinese Cultural Revolution poster bristling with missiles, seems eerily attuned to present-day events. In light of the current escalation, our little ha-ha gag might seem tasteless and insensitive, but I’ll argue that this sort of sarcasm, far from trivializing a fraught situation, is precisely the sort of medicine we need in today’s world. Let’s face it: We who are not of the ruling class have little if any sway over these clashes of the earth-trampling titans, lacking both the diplomatic clout and monetary resources to influence outcomes. But we do have one extremely potent weapon at our disposal, and that’s humor, particularly satire and ridicule. The power of strongmen and oppressors is predicated on instilling fear and a sense of fatalism in their opponents, and nothing knocks the pedestal out from under these straw gods like a well-landed comic punch. Artfully targeted ridicule undermines the platform of respect that would-be dictators need to prop up their bullying, making them look, well, ridiculous – witness how the once terrifying specter of Donald Trump has been diminished by a constant stream of sarcasm dished out by late-night comics and ordinary tavern denizens alike. One can almost feel The Donald squirming under the hail of comedic assaults on his fragile ego; one hopes that the petulant boy king Kim Jong Un will likewise be taken down a peg by the world’s jibes. Methinks it’s time to get Iron Kim Style back together again.